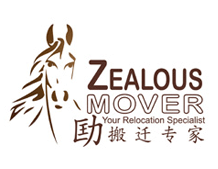 Zealous Mover pays attention to each detail and shapes of our services professionally and consistently to exactly meet your unique needs at the highest level of standards and efficiencies. Building strong bonds with our clientele is the key to our sustainability. We seek to build long-term relationship with customers by consistently providing professional, reliable and cost effective solutions. Our professional team provides exceptional service experience to our customers. Leveraging on more than a decade of experience, Zealous Mover is constantly recalibrating our business operations to add value to our customers. This is based on our firm belief that our customers are our paramount concern, entitled to peace of mind. We are in the business of serving not just your practical moving needs but more importantly your emotional needs. We are devoted to making every customer experience exceptional for every service we offer. At Zealous Mover, we are not just your mover; we are also your friends.